Back when I lived in Kansas, I saw quite a lot of farmland. And all along the fence line, you'd see "Private Property" and "Keep Out" signs. Let's face it, the land is a farmer's life. You can't have others encroaching on it. 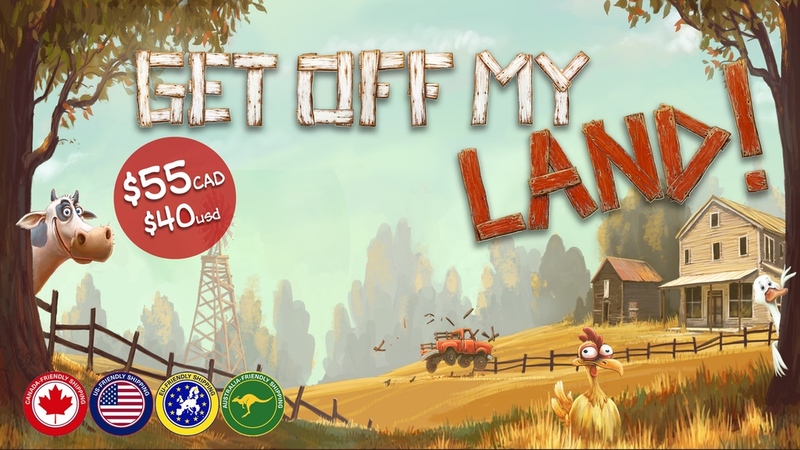 And that's just what you've gotta keep from happening in Get Off My Land, a new board game from First Fish Games that's up on Kickstarter now.